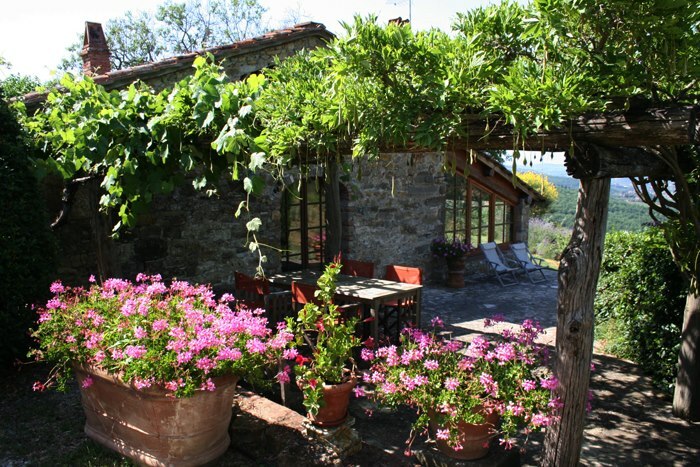 On your next visit to Tuscany, if there are not enough of you to rent an entire villa to yourselves, you nevertheless have a chance to experience living in a genuine Tuscan villa, namely at Corte di Valle where you can stay in a real Tuscan villa in Chianti. 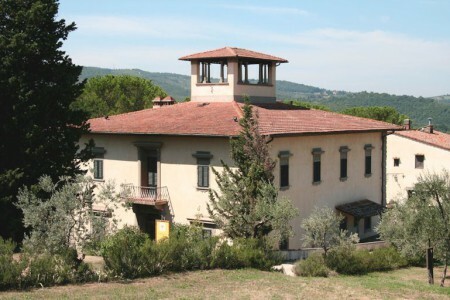 The villa of Corte di Valle was built at the end of the 19 C in the style of the famous Florentine architect Giuseppe Poggi. Corte di Valle was commissioned by a Florentine diplomat just before his retirement from his last posting in Buenos Aires. 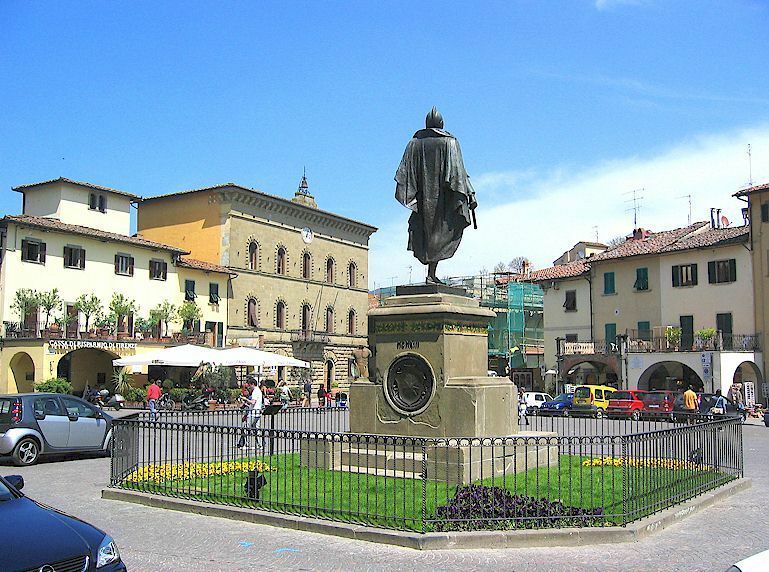 He chose a farm about 18 km south of Florence on the famous via Chiantigiana, the scenic road that runs from Florence to Sienna through the Chianti Classico wine zone. 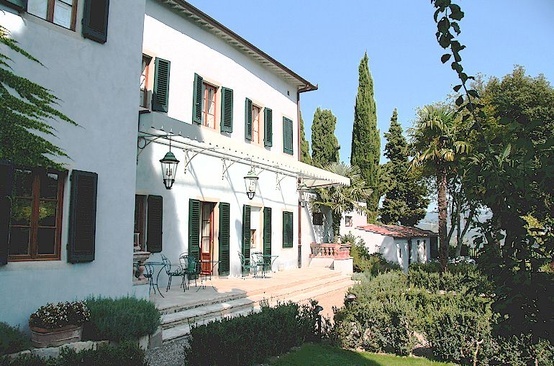 The villa now provides commodious Bed and Breakfast rooms, while the surrounding farm houses and hunting lodge house the winery, the restaurant and two vacation apartments. 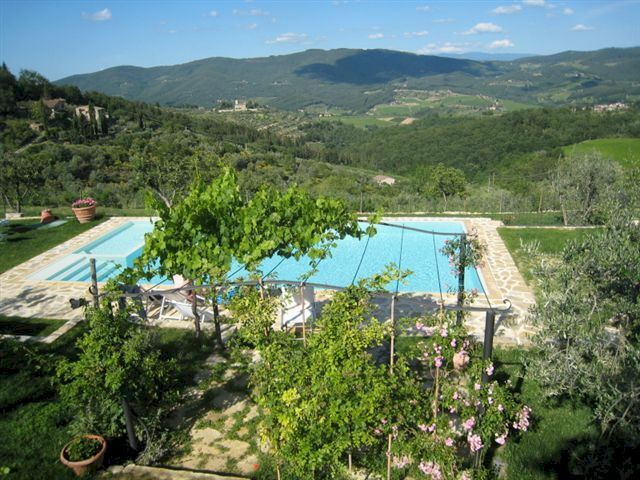 The addition of a beautiful swimming pool makes Corte di Valle one of the most attractive and convenient holiday bases in Chianti. 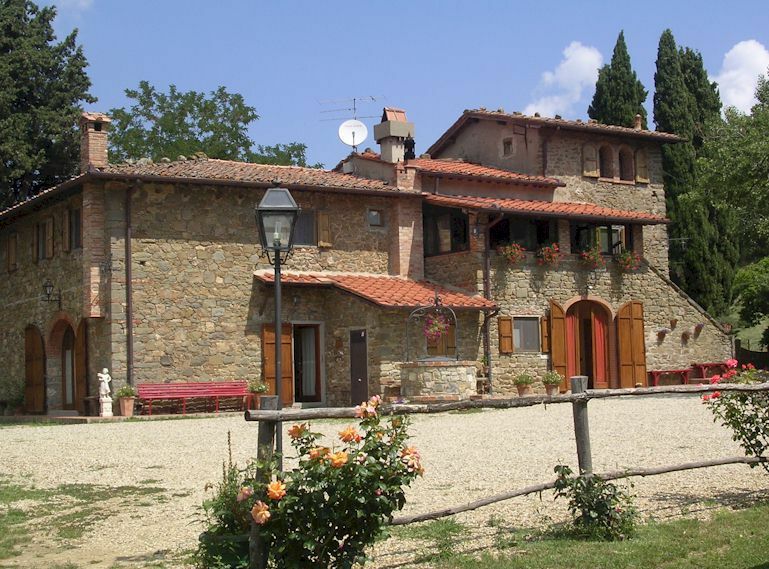 More about B&B Corte di Valle in Chianti, Tuscany.